1. The Club shall be called the Irish Pointer Club. Its objective shall be to promote the breeding of Pointers; to publish the description of the true type; to urge the adoption of such type by breeders, as the standard of excellence, by which Pointers should be judged; to establish Field Trials and run the Breed Championship Show. 2. The Club shall consist of a President, a Chairman, Hon.Secretary, Hon. Treasurer and a Committee of up to ten Members to be elected annually at the Annual General Meeting (with the exception of the President) and an unlimited number of members. Five to form a quorum at Committee Meetings. (i) The President; The President shall be elected at an AGM and shall remain in office during the member’s pleasure. The President shall chair the AGM and represent the Club on important occasions, in an honorary capacity. (ii) Honorary Life Members: Shall be proposed by the committee for election at an AGM in recognition of exceptional service to the Irish Pointer Club. (iii) The Committee has a right to co-opt members on to the Committee as and when it deems appropriate. 3. The Annual Subscription of a member shall be fourteen €uro, seventeen €uro joint membership payable on the first of January each year or within one month after election. No one shall be entitled to the privileges of membership whose subscription is in arrears, the liability of a member shall not exceed the amount of his or her annual subscription. 4. Applications for membership shall be made in writing on the Club's official form, which shall include a signed declaration to abide by the Rules and Code of Ethics of the Club and shall be accompanied by the appropriate subscription. On admission of each new member, the Secretary shall send notification to him or her with a copy of the Rules. The Committee shall have the power to accept or reject applications by a simple majority. In the case of rejections monies shall be refunded. 5. The Management of the property of the Club shall be vested in the Committee, who alone shall have the power of electing members, the Committee shall also have the power to make by-laws and to decide upon matters in dispute or not provided for in the Rules. 6. The Annual General Meeting shall be held in Portlaoise in the Summer, at such time and place as the Committee shall may appoint. Members shall be given at least fourteen days notice of the Annual General Meeting. 7. As the payment of the Annual Subscription will entitle a member to enjoy every benefit the Club can bestow, so is his or her acquiescence in the Rules furnished to him or her thereby distinctly implied. 8. An Extraordinary General Meeting may be called at any time at twenty one days notice by the Committee, or by the Secretary on receiving a requisition duly signed by at least six members, thirteen shall form a quorum at any Extraordinary General Meeting and only items on the Agenda may be discussed. 9. Any member who shall be suspended by the Irish Kennel Club shall automatically and for the same period be regarded as suspended from membership of the Club. 10. Any member who may be considered injurious or objectionable to the Club is liable to be expelled at a Special General Meeting provided the majority in favour of the expulsion is a simple majority; and any member who wishes to resign must give notice of his or her intention to the Secretary on or before the first day of January of each year otherwise, he or she shall be liable for his or her subscription for the year ensuing. Any member who shall cease to belong to the Club either by resigning or otherwise shall have no claim upon or be entitled to participate in any of the effects, or property belonging to the Club, nor to have any part of his or her annual subscription for the current year refunded. 11. The Treasurer shall receive all monies, keep a proper record of receipts and payments and report the financial status of the Club to the Committee when requested to do so by the Committee. 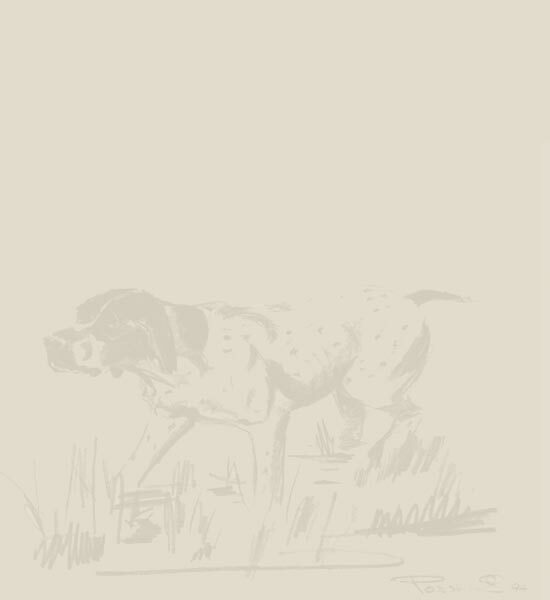 The Treasurer shall maintain Banking Account(s) in the name of The Irish Pointer Club and any withdrawals from these accounts shall be over the signatures of any two of three persons nominated by the committee. The Treasurer shall also submit an Audited Income and Expenditure Account to the members at the Annual General Meeting. 12. The Committee shall annually elect persons competent and willing to act as Judges of Pointers at Shows and promote their appointment as Judges at Irish Shows, who shall undertake to be guided by the standard and description of the breed as framed by the Irish Kennel Club. 13. The Committee shall have power to add or alter the foregoing Rules and make new rules as occasion may require, and such added to, altered or amended rules shall be observed by members pending their confirmation at a General Meeting. 14. In the event of the Club being dissolved, all Cups, Trophies, and Club Records and property shall be handed to the Irish Kennel Club who will act as custodians thereof. 15. The Irish Kennel Club shall be the final court of appeal in all matters of disputes, and in all cases relative to canine or Club matters.